The Future Subjunctive in Portuguese. It will be so useful and rewarding for you if you use it right! 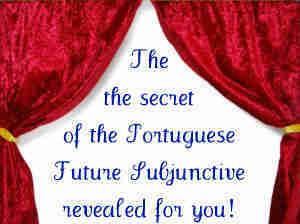 Today we are going to learn what the Future Subjunctive in Portuguese is and how easy it is to form and use. This Future tense of the Subjunctive mode places a possibility in the future. With it you can present a fact that will possibly or may be carried out in the future. As we will see below, it requires either certain words or expressions (also known as conjunctions or locutions), or some relative pronouns to be used with it. Sometimes people think about the Future subjunctive as being the Portuguese Personal Infinitive. In fact, the form of the Future Subjunctive and it's endings are exactly the same, if you compare these two tenses (the Personal Infinitive and the Future Subjunctive), but for regular verbs only!. Sometimes it is only possible to distinguish them by carefully paying attention to the context of the sentence! That's why it can be a bit confusing at the beginning of your learning process. Here I shall present those expressions for you together with other information that you must take in to account, so read on. 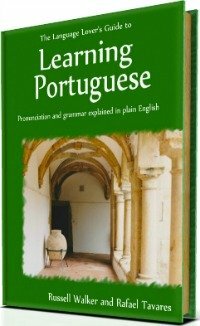 I must say that you must understand the Portuguese Personal Infinitive first before you try to learn the future subjunctive in Portuguese. So if you haven't done so yet, do it now by clicking here and come back another day to learn this tense. If you do already know how to use the Personal Infinitive, it's time to step forward and learn this tense now. 1. How it is formed. 2. What the irregular verbs are. 3. What expressions require the Future Subjunctive in Portuguese. Ok, so let me carry on and explain this. 1. The future subjunctive is formed from the 3rd person plural (eles, elas, vocês, etc) of the P.P.S. (Pretérito Perfeito simples). 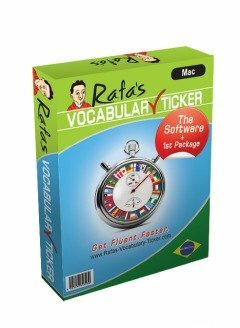 Say you have three regular verbs: "Falar", "Comer" and "Abrir"
We know that the P.P.S. 3rd person for these three verbs is respectively "Eles falaram", "Eles comeram" and "eles abriram"
If you take out the final ending" ...am" and keep the root, the remaining words are respectively "Falar", "Comer" and Abrir", right? So this is the root for the Future Subjunctive, which in the case of the regular verbs is easy recall because it equal to the Infinitive itself (the name of the verb). Then, to form the Future Subjunctive you just have to ad the endings "...es" for the person TU, "...mos" for the person NÓS, and the ending "...em" for the person ELES, ELAS, VOCÊS, OS SENHORES and AS SENHORAS. However, when we are dealing with irregular verbs, we can see the difference much more clearer. So, say you have the verb "estar". You know that the P.P.S. of this verb in the 3rd person plural is "estiveram". So, once again, all you have to do is to take out the final ending" ...am" and keep the root "estiver". You see, this is easy. And these endings "...es", "...mos", "...em" ring many bells on you? Don't they? Exactly! These are the same endings you use to form the Personal Infinitive! And now you can understand why it can be so confusing specially if you already control the use of the Personal Infinitive. Am I right? But... hang on! In order for you to control this tense, knowing this only is not enough! Once you understand this first step (how to "build" the Future Subjunctive) you need to learn what all those irregular verbs that we must remember to change are? 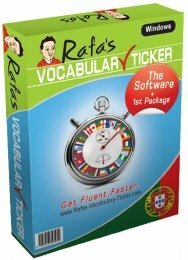 We finally just need to get familiar with the expressions that in Portuguese require the use of this tense. Se - "if" - e.g. "Se eu estiver cansado não vou ao cinema" ->"If I'm tired I won't go to the cinema" (that's why the verbs above, in explanation 1 are conjugated together with this word). Quando - "when"/"as soon as" - e.g. "Quando chegares, liga para o escritório" -> "When/as soon as you arrive, call the office". Logo que - "As soon as" - e.g. "Logo que nós falarmos com ela, combinaremos a hora" -> "As soon as we talk to her, we'll set the time". Assim que - "As soon as" - e.g. "Logo que eles chegarem, nós começaremos a comer" -> "As soon as they arrive, we'll start eating". Enquanto - "Before", "whilst" "as long as" - e.g. "Enquanto ela for viva, merece todo o nosso respeito". -> "As long as she is alive, she reserves all our respect". Conforme - "In accordance with"/"according to" - e.g. "Eu vou fazer o trabalho conforme me disserem" -> "I'm going to do the work, in accordance with what they will tell me to do". Como - "the way", "as", "like" - e.g. "Podes trabalhar, como tu quiseres". - "You can work the way you like". Onde - "Where" - e.g. "Para onde ela for, ela avisa sempre os pais" -> "Wherever she goes, she always let her parents know". Quem - "Who" - e.g. "Quem o vir, que lhe diga". -> "Whoever sees him, they must let him know." And we are almost done. But before we finish, let's bear in mind that the Future Subjunctive is normally used when a phrase has two parts divided by a comma, when one part commands, and the other one is commanded. Check these examples out. "Se fores ao cinema, diz-me por favor." - "If you go to the cinema, please let me know." "Quando passares pelo mercado, não te esqueças de comprar fruta." - "When you pass by the market, don't forget to buy some fruit please". If you have any questions about this page, please be in touch here . Now, what you have to do is to get out there and practice! Go Back From Future Subjunctive To Grammar.